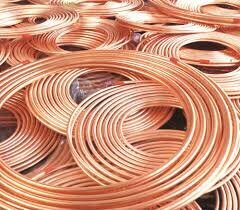 COPPER price on the London Metal Exchange (LME) suffered a slight jolt when it recorded a drop of US$60.50 on Wednesday, according to Cavmont Bank Zambia daily market report. The bank reported that, as a result, the price of the red metal was now trading at US$4,897.50 a tonne. It further reported that the price of gold suffered the same fate as it plunged by US$13.79 to sell at US$1,282.81 an ounce. It was the same with Brent crude oil whose price fell marginally by US$0.51 and the commodity was presently selling at US$45.05 a barrel. On the local scene, the bank reported that the Kwacha was largely unmoved against the US dollar on Wednesday despite supply remaining choppy. The local unit opened at K9.640 / K9.660 on Interbank and traded at this level for most of the day with market activity still being biased towards the buy side. The Kwacha closed at K9.665 / K9.685, K0.025 weaker than the previous day’s closing level. Cavmont reported that commercial banks’ aggregate current account balance reduced by K598.28 million to K1, 618.98 million while the overnight borrowing and lending rate decreased by 0.04 per cent to 25.61 per cent. Total funds traded on Interbank were K353.40 million. The Lusaka Stock Exchange (LuSE) All Share Index remained unchanged at 5, 010.75 points.